The Victorian government has cut contracts with NSW-based disability services provider Lifestyle Solutions after an independent review identified a number of concerns in relation to “the delivery of safe and high quality services to people with a disability”. The Victorian Department of Health and Human Services said it undertook a review of Lifestyle Solutions following allegations made in an ABC Four Corners report back in March. The ABC Four Corners report, Fighting the System, alleged incidents of violence and abuse were taking place against people with disability in Australia, including at a Lifestyle Solutions centre that provided group housing for people with disabilities. 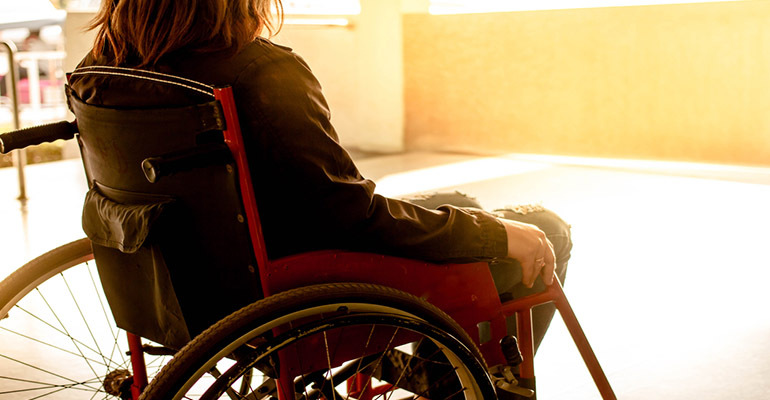 The Victorian government said that its own independent review identified a number of concerns in relation to the delivery of safe and high quality services to people with a disability at two residential group houses. A spokesperson for the Victorian disability minister Martin Foley said that once the minister became aware of the allegations he asked his department to do an immediate review of the contract in Victoria. “We are now in an NDIS world where it is up to all of us to fulfil the promise we made to people with a disability that accusations of abuse will be investigated and acted upon,” the spokesperson said. “We hope this sends a message to providers that we are watching and we will respond. This is about taking a zero tolerance to violence and abuse. It’s understood that the Victorian department confirmed with Lifestyle Solutions that their service agreement was to be terminated as a result of the findings on 21 June 2017. “The department will work with clients and their families in the transition of Lifestyle Solutions’ services to alternate service providers,” the spokesperson said. Lifestyle Solutions’ chief executive said in a letter to the ABC that the Victorian government’s decision related to cases that had already been the subject of extensive review by investigative and regulatory bodies. “As an organisation, we continuously review and implement advancements to strengthen our policies, procedures and management frameworks to deliver the best services possible,” Lifestyle Solutions CEO Andrew Hyland said. Lifestyle Solutions is also being monitored by the NSW Ombudsman. The Office of the NSW Ombudsman has previously confirmed to Pro Bono News that it was investigating the operations of Lifestyle Solutions after receiving a number of complaints from parents and former staff. On Wednesday Kinmond told the ABC: “Arrangements are in place for close tracking and reporting back on progress against the action plan, including regular meetings with the Ombudsman’s office and the Department of Family and Community Services. In June disability groups renewed their call for a royal commission into violence against people with disability. Disabled People’s Organisations Australia (DPO Australia), described the original ABC report as “only the tip of the iceberg”. “More evidence has come to light that supports the case for a royal commission. It is only a royal commission that has the weight, the investigative powers, the time and resources to open the doors to the many ‘closed’ institutions and residential environments, and expose Australia’s shameful secret,” the director of DPO Australia Therese Sands said. The 2015 Senate Committee Inquiry into violence and abuse against people with disability in institutional and residential settings found that violence and abuse was prolific and hidden. The central recommendation of the committee was the establishment of a royal commission. The federal government ruled out a royal commission in its response to the Senate inquiry in June. The government said it was addressing violence and abuse against people with disability by establishing the Quality and Safeguarding Framework for the NDIS.